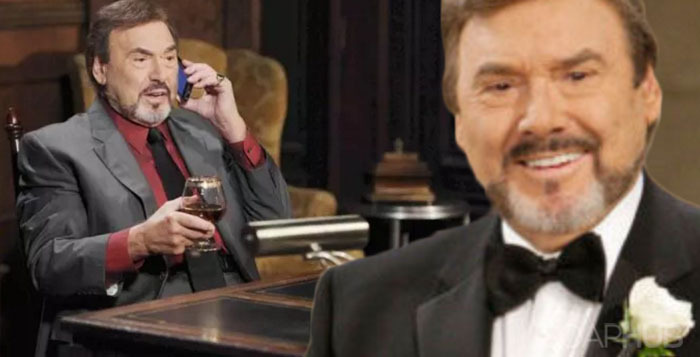 Days of Our Lives February Sweeps: A Stefano Stunner! “Days of Our Lives” (Days) February sweeps predictions tease that the hunt for The Phoenix will advance to a stunning conclusion. This week Marlena (Deidre Hall) offered herself up as bait to lure Stefano into a trap so the Fearless Four can pounce on him. We at Soap Cities (SC) think Marlena will be part of this stunning Salem story to come. However, we know not to think we have it all figure out in this or any other dicey Salem Stefano figures into. He has a way of causing chaos and unpredictability. The Phoenix has come back from the dead more than once, for example. That being said, we think Hope (Kristian Alfonso) may figure into the Stefano story’s climax. She and Stefano share a seemingly eternal psychic bond. If Stefano is involved, it’s a good bet Hope will be too. In terms of Hope, we know to “Hope” for the best with this Salem leading lady. Do you agree, Soap Cities readers? What else do you think could happen in this storyline? Next Article Days of Our Lives February Sweeps: Deimos Gets (More) Demented!